If you previously read my blog, you’ll know that I’m not a fan of clichés. However, when I think of Montenegro, there’s one cliché that comes on my mind that describes this country so well that they might consider embroidering on their flag. “Good things come in small packages”. Capturing a tiny corner of Southeastern Europe, Montenegro is a country with some of the most beautiful and underrated beaches in Europe, capturing outdoors, breathtaking canyons, and beautiful mountains. All that in an area of 13,000 kilometers! If you want to travel to Montenegro, you’re in the right place. The name Montenegro literally translates to “Black Mountain”. There are a lot of dark mountains in Montenegro but it also has some amazing beaches and canyons that will take your breath away. That’s why some people refer to it as the New Zealand of Europe. Montenegro is one of the newest countries in Europe, gaining its independence in 2006. Today, the country shares a border with Serbia, Albania, Kosovo, Croatia, and Bosnia and Herzegovina. Throughout the past century, it was a part of the Kingdom of Serbs, Croats and Slovenes and later, Yugoslavia. With the referendum in 2006, Montenegrins decided to separate from the federation with Serbia and become an independent country. Montenegro has the same visa policy as the other Schengen countries. 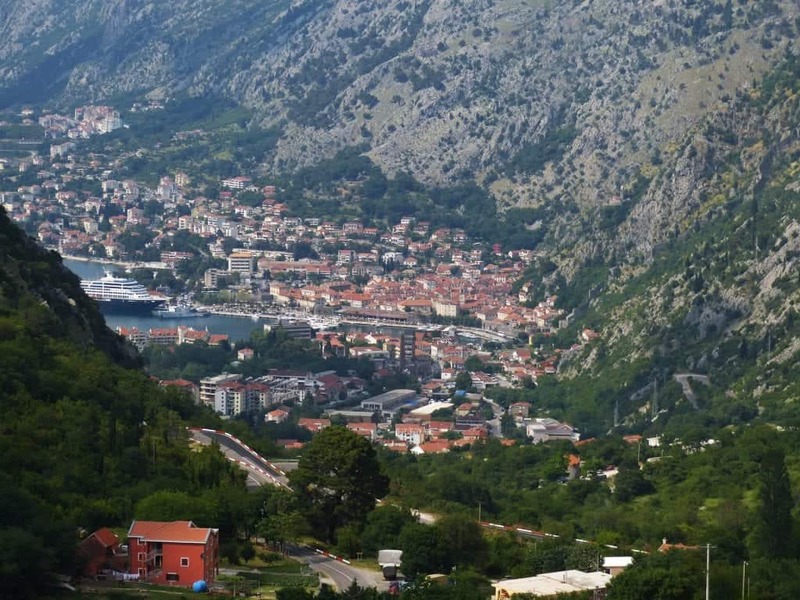 Some other countries such as Russia, Ukraine, Belarus, Azerbaijan, Ecuador, and Costa Rica also have a visa-free entry to travel to Montenegro. The public transport in Montenegro is not even close to public transport in most European countries. Larger cities are well-connected but the transportation options for the smaller towns are limited. One reason why this is the case is that most cities in Montenegro are so small, locals prefer walking. However, this might be challenging for visitors, especially ones that want to see the outdoors or smaller towns. If you’re planning to rent a car in the summer, don’t. This is the high season and everything is more expensive, especially car rentals. If you still want to do this, prepare to pay at least 30 euros per day. The other alternatives are the bus and the train. The train line runs from the coastal city of Bar through the capital Podgorica, through Kolasin and continues towards the border with Serbia. The train allows you to cross more than half of the country, from the beautiful beaches to the divine mountains, in one day, and only a few euros. The bus can take you to more places but the train is cheaper and more comfortable. Also, note that Montenegro has a lot of mountain roads and driving on them isn’t very convenient. Accommodation in Montenegro runs from posh resorts to campgrounds. You will find the cheapest accommodation in Suto More and the most expensive in Sveti Stefan, Kotor, and Budva. Budva has a resort destination reputation and is sometimes even called Miami of the Adriatic and Kotor is the important historic capital. These places are overcrowded with tourists all the time and this keeps the prices at a higher level. However, what I love about Montenegro is the fact that you can stay in Suto More or Kotor and go for a day trip pretty much anywhere without spending too much. In the bigger cities, you can find some cool backpacker hostels. In the remote areas, you won’t find many hostels but you can find a lot of charming mountain cottages that provide lashings of local cuisine. Another thing I love about Montenegro is that you can camp pretty much anywhere. No matter whether at the riverside, in the mountains, near the lakes or in the countryside, camping is allowed almost anywhere in Montenegro. The food in Montenegro is relatively affordable, except for the island of Sveti Stefan. Anywhere else, you can have a three-course meal for less than 15 euros. Another money saver is the fact that tap water is safe for drinking across the country, with the exception of Herceg Novi in the month of May when local water pipes are being cleaned. Japracu: a soup-based dish that includes a dry meat, rice, and pepper. Ispod Saca: the Balkan version of a good Sunday roast just better! If you’re planning to prepare your own food, be careful. Many markets don’t have publicly displayed prices for groceries and some vendors will try to cheat you if you’re a tourist. They might try to overcharge you or give you a spoiled or older product, so keep an eye when you’re grocery shopping or just go to a well-known supermarket. Locals might seem grumpy but don’t take it personally. It’s just a part of their culture not to put up smiles and keep a distance. Montenegrins are actually very nice and welcoming people but they might come across as grumpy when communicating with strangers. Don’t get offended when you waiter asks “What do you want” without a smile on his face. That’s actually considered polite in Montenegro. The best time to visit is fall. Well, at least I think so. Yes, you might not enjoy the warm beaches but you still might get a few sunny days in September. It feels much better when there are fewer tourists around. Additionally, the summer isn’t a good time to explore the mountains because of the high temperatures and UV index. Autumn seems like the ideal time to enjoy the best of Montenegro. There’s a tourist tax. If you’re renting a private apartment and not staying in hotels, according to the law you have to pay a tourist tax. The tourist tax varies on the city but it doesn’t get higher than 1 euro per day. However, a lot of people didn’t register with the authorities and didn’t face any problems when leaving the country. This means you can get away even without paying the tourist tax unless the border patrol officials are being too curious. Smoking is allowed everywhere. Smoking seems like a dying trend in most countries in the world but not in Montenegro. Here, you can smoke in bars, restaurants, supermarkets, and even buses! Montenegro is completely safe to visit! The biggest danger comes from the local cheating vendors and crazy drivers rushing on the mountain roads. Other than that, there’s absolutely nothing to worry about. Why Montenegro is a rough diamond? If you’re looking for a slick holiday destination where everything will be perfect, Montenegro might not be the right place for you. Even though Montenegro is a beautiful country, their tourism just hasn’t had enough time to reach the highest standards. There are several reasons why this is the case. Customer service isn’t perfect. The customer isn’t always right in Montenegro. Montenegrins are nice and welcoming people but they won’t automatically give in to the demands of customers just because they are always right. Prepare for the Montenegrin Shrug. Most locals grew up during WWII or Socialist Yugoslavia and they are used to making the best out of any given situation. They don’t think a 2-hour power breakdown is a big deal. They don’t mind the strong smell of drains when the north winds start blowing. Prepare to hear a lot of “What can we do? That’s just the way it is” in Montenegro. Don’t expect a good infrastructure. Some of the mountain roads in Montenegro look flat out dangerous and are not pleasant to drive on at all but at least the views are spectacular. Littering is a problem in Montenegro. Not as serious of a problem like some other countries but one they would need to solve if Montenegro wants to become a first-class resort destination. For backpackers: Montenegro is a budget-friendly country, except if you’re planning to stay in Budva in the summer/ NYE or Sveti Stefan at any time of the year. For luxury seekers: You can find multiple luxury accommodations and other facilities across the country. 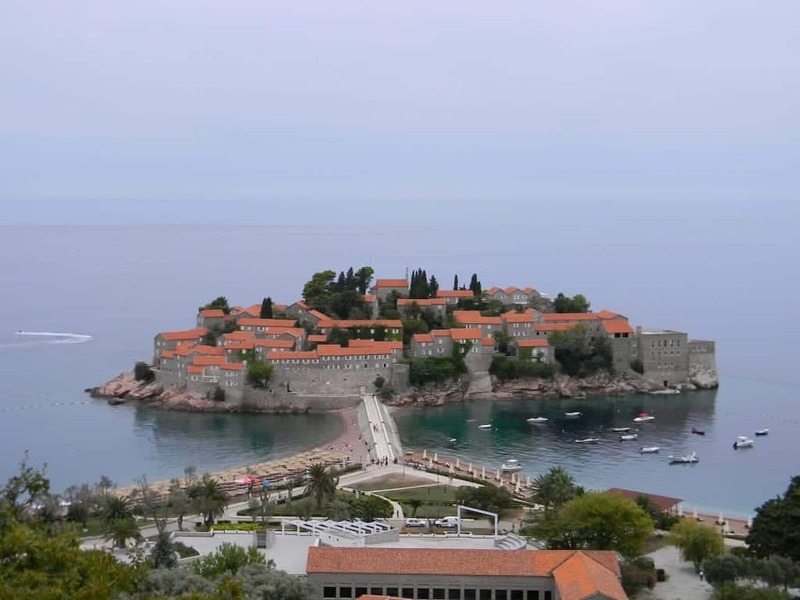 However, of all the sights along the shoreline, Sveti Stefan is probably the most spectacular one. The 15th century stone villas of Sveti Stefan that overlook the impeccable beaches on the island will surely take your breath away. For beach lovers: You will find some of the most beautiful beaches in Europe. If you want to spend your days relaxing on the beach and drinking cocktails and spend your nights partying until dawn, look no further. 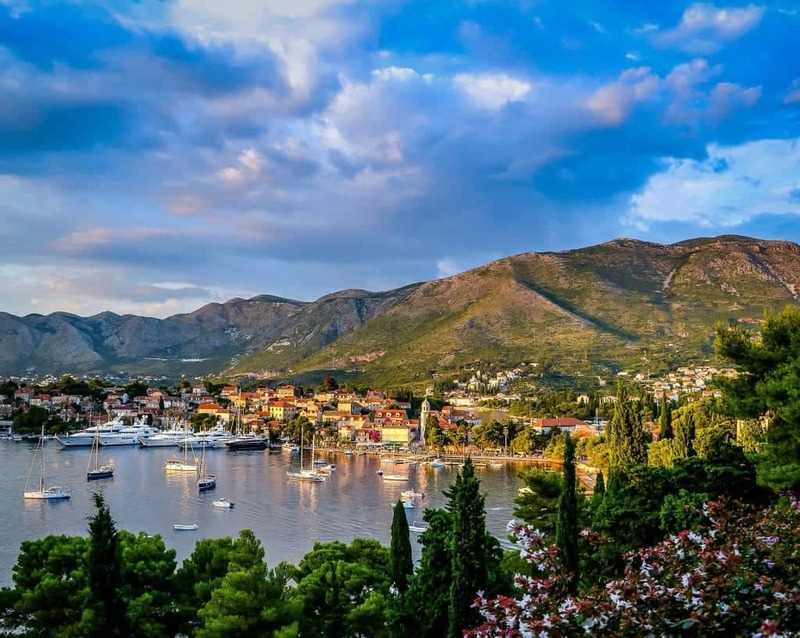 For adventure lovers: Tivat is a pretty coastal town surrounded by beautiful river canyons that resemble of Scandinavian fjords and lofty mountains and scenic serpentine roads. If you’re seeking for an adventure you’ll certainly find it here. For history lovers: Montenegro is dotted with historic sights surrounded by magnificent scenery. The most popular destination for history lovers is the city of Kotor with its stunning castles, enchanting churches, and centuries-aged fortresses. 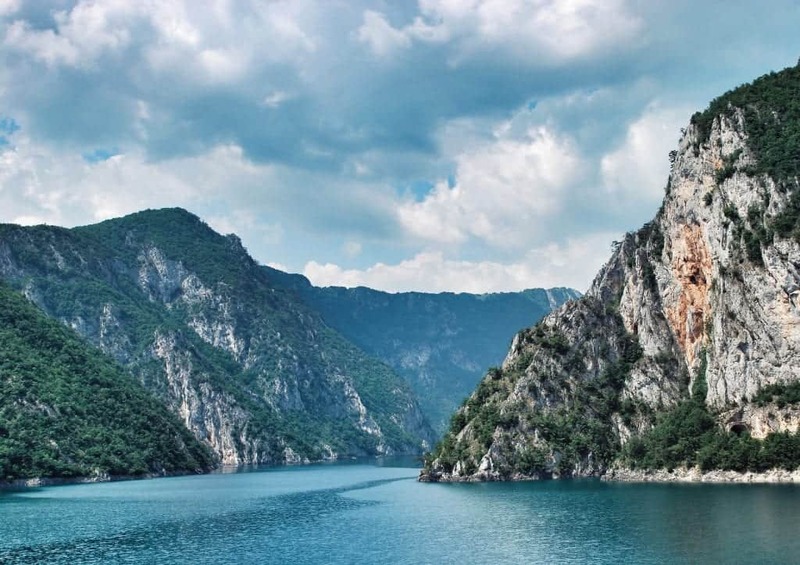 For nature lovers: visit some of Montenegro’s beautiful freshwater lakes. Skadar Lake is a great place for birdwatchers and the glacial lake at Mount Durmitor at Zabljak sitting at an elevation of 1,416 meters is a must for mountain lovers. 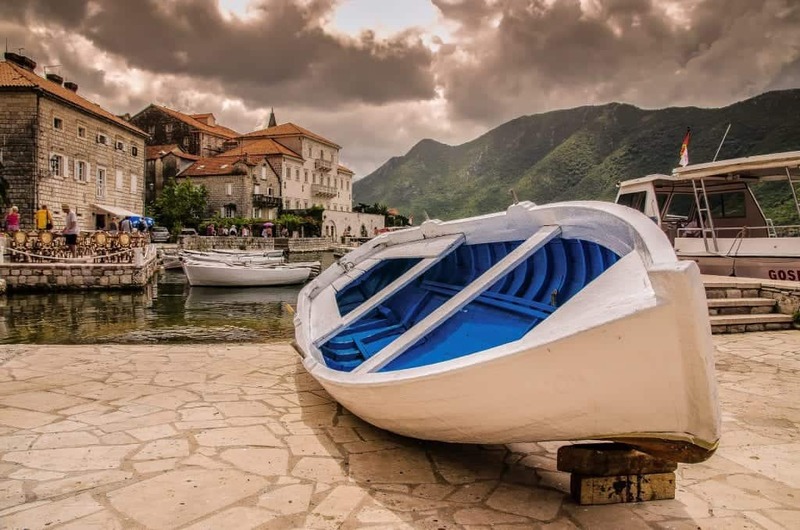 For couples: If you’re looking for a romantic getaway where you will spend your evenings wandering along the seaside and enjoying some fresh seafood and tasty local wine, Montenegro is a great choice. For families: Most cities in Montenegro are really small and you can get family-friendly accommodation almost everywhere. This makes Montenegro a perfect destination for a family holiday. You got me with the photographs of the mountains, but after seeing the food … I just have to push Montenegro up my bucket list (it was already there after my friend told me Montenegro has the most gorgeous men walking around lol) and visit it soon! I didn’t know Montenegro was this beautiful! Looove it! I’ll save this post as I’m planning a trip to Europe for the next year. This will be on my bucket list, for sure! Montenegro is so beautiful. I have only been to Kotor but I’m planning to go back and explore some more. Thank you for sharing this very informative post! This is a very thorough guide. I love travel guides that also include visa information for the country! So useful to know that right up front! Loved your post and pics! Montenegro is so beautiful, I’d love to visit sometime. Thanks for all the helpful details, especially the food! We were in Montenegro in the end of May this year and loved it! We rented a car (as a part of the longer tour in Balkans), and never regretted it – we could stop wherever we want, and it was a big plus in Montenegro – there are so many stunning places on the way. Thank you for sharing, this article brings some amazing memories back! 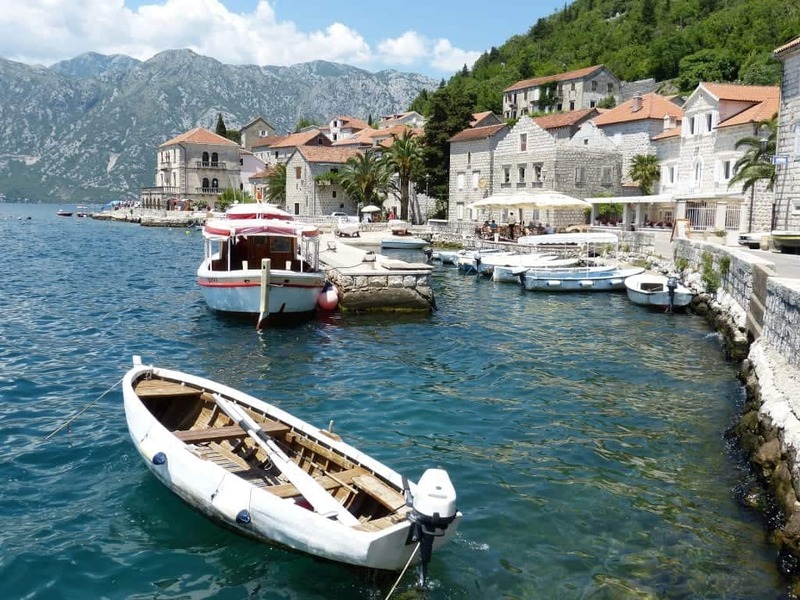 I will admit that Montenegro had never really make it on to my travel list but reading about it here makes we want to visit as soon as possible. Such beautiful scenery and your photos are amazing! The food also looks delicious, got to get some of that Njeguski Steak! Montenegro has long been on my travel list. However, I never really thought about the root words (black mountain). Regardless, I can’t wait to make it here one day – your post shows how beautiful the country is! I’m glad to hear that Montenegro can be budget friendly for backpackers! I am looking forward to visiting and trying Rastan, it sounds super tasty. I’ve heard of Montenegro before, but actually curious what’s in there. From your photos, this looks a relaxing place. Now I have idea on what to do when I visit it. Thanks, Laurence- I hope you visit it someday. Such stunning images – this is like a visual treat. Thanks for listing out things to do in Montenegro. I have never been there but your post confirms what I have heard of this small country: stunning nature and landscape. Ive always wanted to visit Montenegro and the other small sandwiched country Andorra. These countries are underrated. The cliche holds true though. They do boast big packages. Your photos look amazing. Wow what an informative post. Thank you for the realistic description. It is good to have managed expectations when visiting different countries especially newer ones. My Dutch cousins go to Croatia often and I have been itching to visit and now I think Montenegro will be added to the agenda when I visit Croatia. More or less by incident, I visited Croatia this Summer – and fell in deep love with the country. 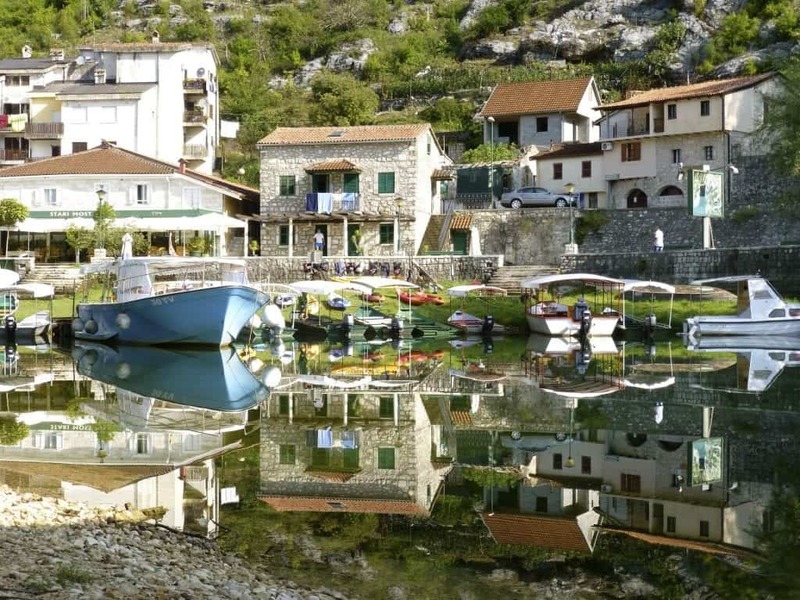 What you are writing about Montenegro – and your stunning pictures – might lure me into cheating at my new love 😉 Just gorgeous – I hope the real thing is as beautiful as your pix, since they are outstanding! I’ve had some awesome “incident trips” in the past too! Thank you for commenting, I’m glad you liked it. Two years ago I went on a road trip in the Balkans. I loved Montenegro, my favourite place being Perast. I would love to return there one day. Possibly next summer, actually. Oh my god, you just made me miss this place more! I was in Montenegro in 2015 and it was just one of the most amazing places I have ever been. My cover photo in Facebook is even taken in Kotor and I have never changed it ever since lol. I’m glad to hear you liked it so much, Christine. It indeed is a beautiful country. Honest and inspiring. Montenegro has long eluded me. Some tip it to increase in popularity in 2019! I didn’t know that in Montenegro you can smoke everywhere, that’s a not such a good trend. What I heard from my friends and what I see from your pictures is that Montenegro is extremely beautiful! Yes, you still can 🙂 Thanks, Inna- I’m glad you liked it. This is complete post indeed.. very informative and helpful for all travellers who are having plans to visit Montenegro. You have made the task easy ☺️☺️.. Thanks.. Very helpful for everyone. you have described all the things nicely. I love mountainous places and there Montenegro is on wishlist since very long. You have given very useful details about visa policies, accommodations tips, food, small handy tips of this heavenly place. Beautiful!!! Omg the pictures!!! I still like that it’s not completely inundated with tourists and still has affordable spots. Thank you, Kemi. There are parts that are very touristy but there are some off-the-beaten-track areas as well. We are planning to visit Kotor as part of a road trip in south-east Europe next year, so this is very timely and helpful! Such comprehensive information, and stunning photos too to get us excited about the trip. Thanks for the inspiration! I am big fan of your pictures and loved to discover Montenegro here. Its a new discovery for me. It looks so off-beat with amazing destinations and pristine beaches. Thanks for that tip on international driver license. Think off season would be a good decision to visit here. Learning about tourist tax for the first time. Its an interesting fact. Would be curious to see the the Montenegrin Shrug and happy that the place is budget friendly for backpackers. Thanks, Navita. I’m glad you enjoyed the article. A road trip across Montenegro is within our immediate travel plans so thank you so much for this amazing guide! 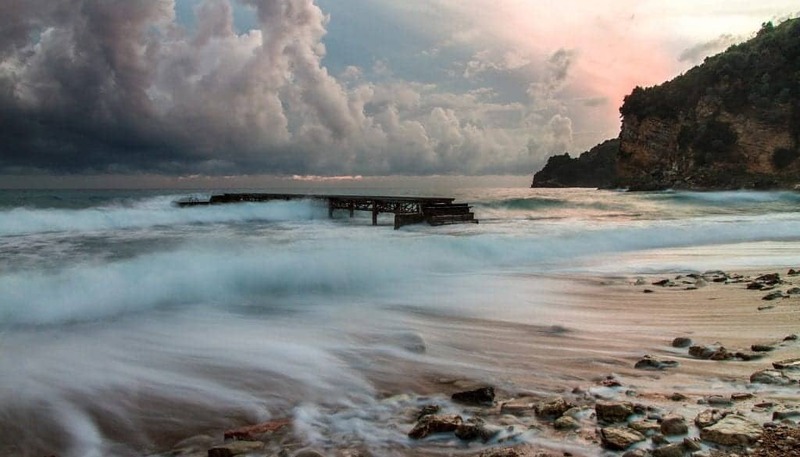 Your gorgeous photos may convince us to plan our Montenegro trip a lot sooner after all! Thank you, Maria- I’m glad you could find some useful tips here. This looks like the cutest little country! I would love to visit here one day!